Guest lecture at the Media Design Practice MFA, Art Center College of Design Pasadena. 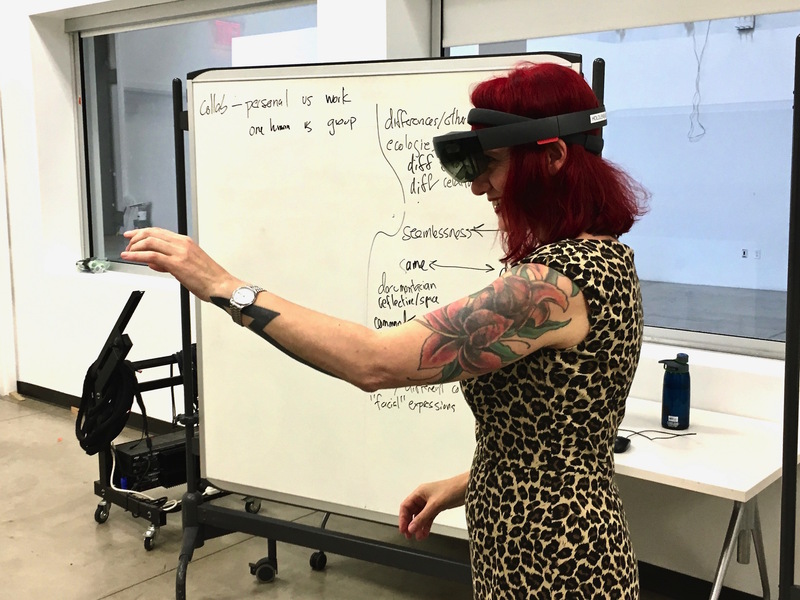 I was invited by Phil van Allen Professor of Interaction Design as part of the summer research project exploring how AI based, non-anthropomorphic animistic entities could work as colleagues and collaborators in Mixed Reality. Phil and I co-authored the 2015 article “Animistic design: how to reimagine digital interaction between the human and the nonhuman” published in the journal Digital Creativity .